The Blue Line (aka TBL) was founded in 2004 as a fansite and forum for Eastside Hockey Manager (EHM) by Sports Interactive and Risto ‘Riz’ Remes. We have maintained a roster update for EHM since 2007 and continue to develop tools and editors for the game such as the EHM Editor for EHM 1 and the Custom Start Date Patch for EHM 2007. TBL was started back in 2004 by Archibalduk and Octavian. Below is a very brief history of the game we love and our site. Eastside Hockey Manager:FE (working title) will be released this summer, we’ll have important news and features as well as a host of new screenshots later today. Keep watching this site for further information. 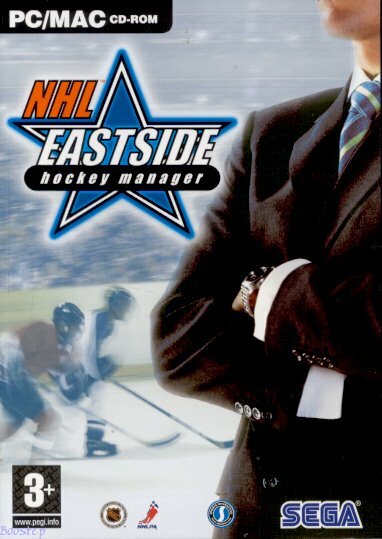 On 27 May 2004 the first beta demo of NHL: Eastside Hockey Manager (aka EHM 2004) was released. On 23 June 2004 the gold demo of EHM 2004 was released. 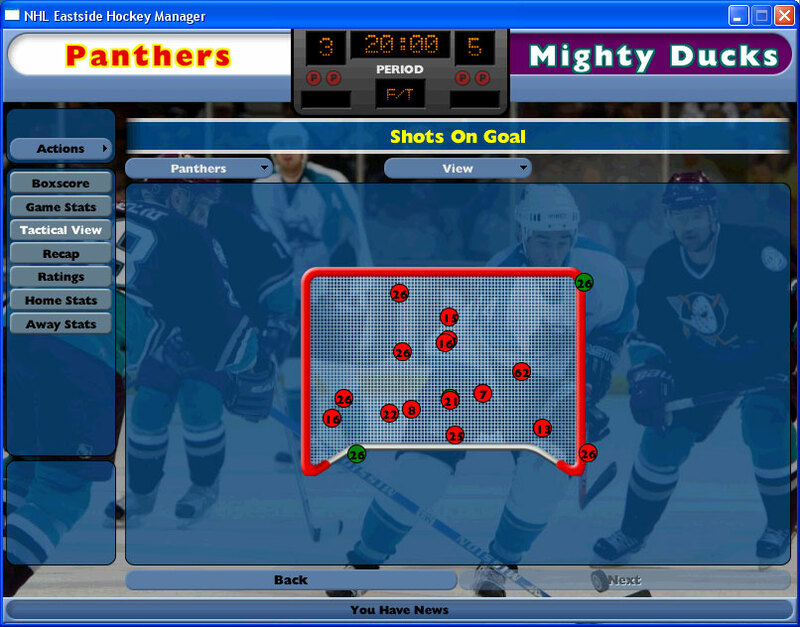 The release of the demo resulted in numerous people creating graphical addons for the game. 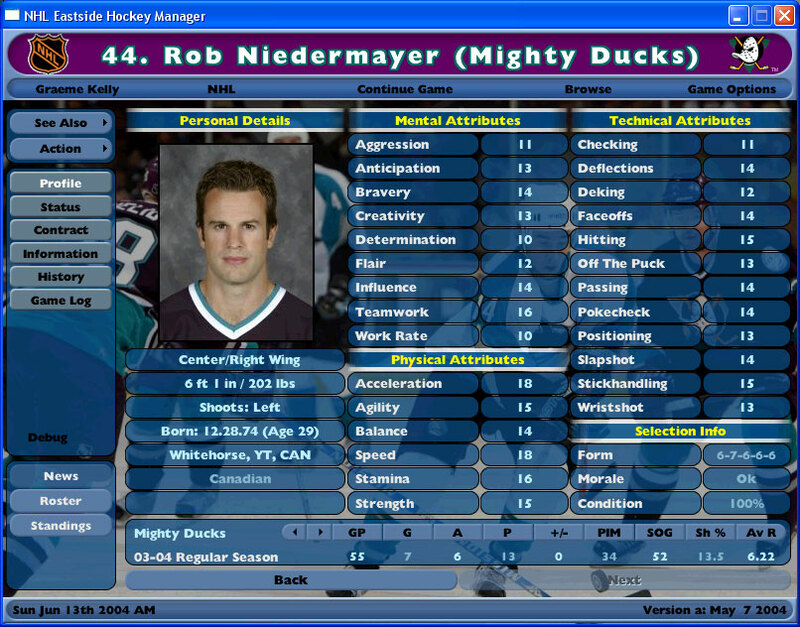 One of those people was Archibalduk who created a facepack for the Red Deer Rebels who he was coaching in the demo. 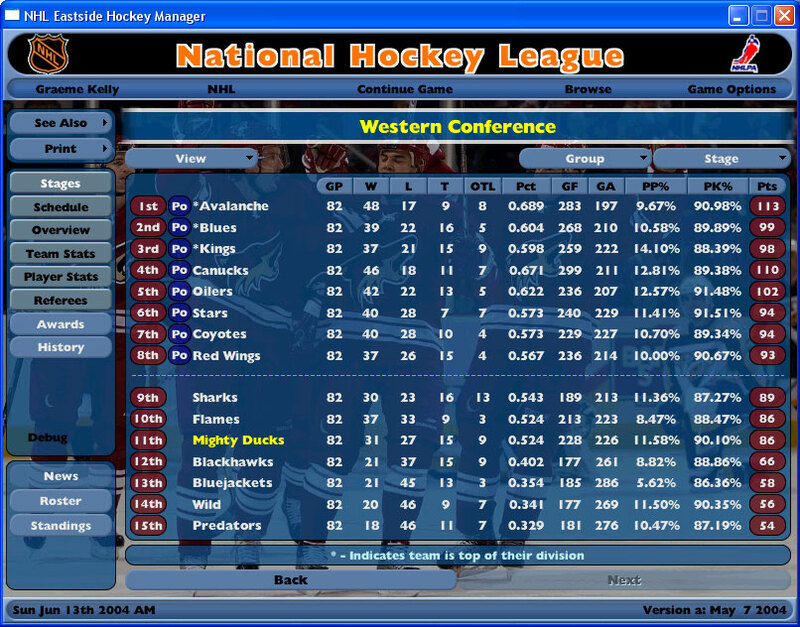 With the lack of any central site to host the various addons created, Archibalduk created “Archibalduk’s NHL:EHM Resource” on 27 June 2004. Its purpose was to index links to every EHM 2004 addon created so that others could easily find them rather than having to trawl through thread after thread on the SI Forums. Back in 2004, being a Geocities-hosted website meant that the site would frequently exceed its bandwidth limit and go offline. 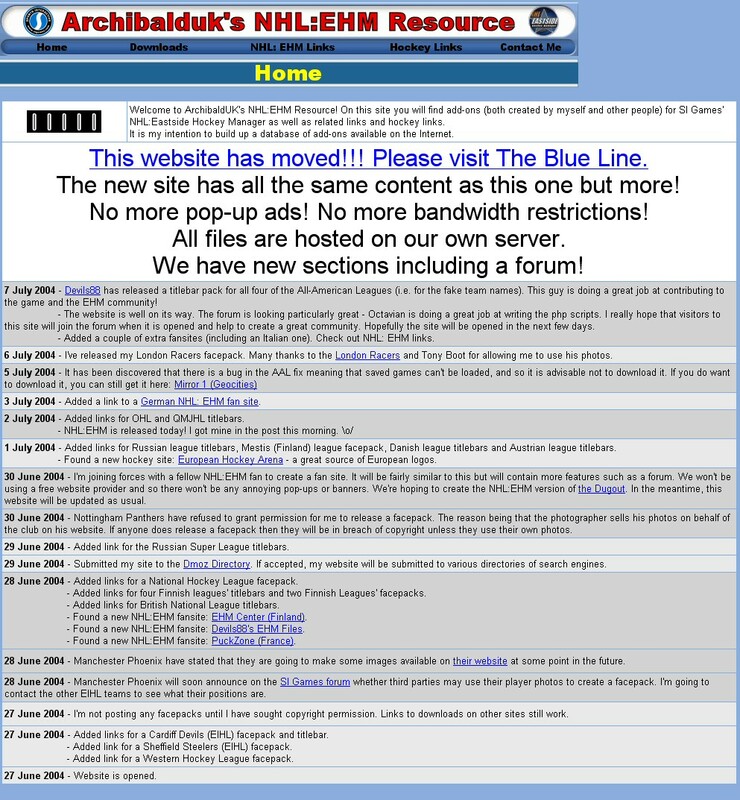 Thankfully, Octavian came to the rescue with the suggestion that they work on a new site together and, on 7 July 2004, The Blue Line was born. One of the first users to register with the new site was Tasku – and he has been an administrator of the site ever since! Shortly before TBL went live, EHM 2004 was released on 2 July 2004 for Windows (CD-Rom and via Softwrap digital download) and Mac (CD-Rom).